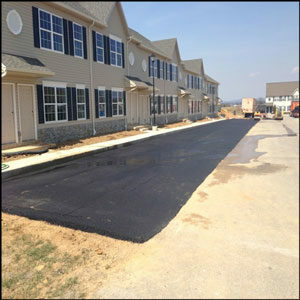 Willie’s Paving Company offers professional PennDOT certified commercial paving and sealcoating for your old or new asphalt in York PA, Harrisburg PA, Carlisle PA, and Mechanicsburg PA. We also provide striping, crack filling, patching and resurfacing for jobs of all sizes. With our years of paving and sealcoat application service, you can rely on us for quality results every time. If you have any asphalt area that’s cracked or worn, we are the ones to call. Willie’s Paving Company works with property managers, business facilities, shopping centers, churches, restaurants and more. We offer paving construction, maintenance, replacement and removal of asphalt and concrete. A sealcoat application can safeguard your asphalt from oxidation and sun damage. Our experienced pavers will apply sealcoat that leaves your surface with an attractive finish that lasts for years. Sealcoating is one of the best ways to protect your investment. Improve the flexibility and look of your asphalt driveway or parking lot by having us apply sealcoat. Asphalt surfaces sustain damage from general wear and tear, chemicals, ultraviolet rays, and water. Our typical repairs include sealing cracks with caulk or tar to inhibit water penetration. We can also fill holes using hot hatch materials. Repair services are usually completed without major disruption. Contact us for concrete pavement finishing and repairs as well. At Willie’s Paving Company, we take pride in our reputation as a dependable commercial asphalt paving contractor. We only use quality products and materials. Our insured and licensed paving staff is ready to serve you with excellent support and competitive pricing. Whether you desire asphalt construction or a few simple fixes, give our team a call today.